2015 marks a fresh start for the devoted punk rock band Generation 84, with the eagerly anticipated 10 inch vinyl “Let’s Do This” at the horizon, approaching ever faster. Five powerful punches of straightforward, no nonsense punk rock from a band that’s all about having fun playing music and storming stages, while kicking shins in the process. Often compared to bands such as Rise Against, Bad Religion and Good Riddance, Generation 84 prefers to let their music speak for itself. So get ready and arm yourself, because this generation will grab you by the throat! 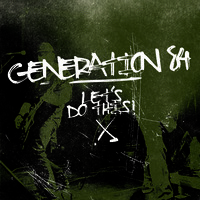 Generation 84’s self titled debut EP was released on Funtime Records, only a year after the band started out. What followed was an intense period of playing shows all over Belgium, The Netherlands and Germany with bands such as No Fun At All, Death By Stereo, Murphy's Law, A Wilhelm Scream, Against Me and De Heideroosjes. 2012 welcomed the full length debut 'Regardless of what is Right', leading Generation 84 to stages all over Europe again. Headlining shows, supporting acts, playing festivals and minitours … This era added highlight after highlight to their careers. 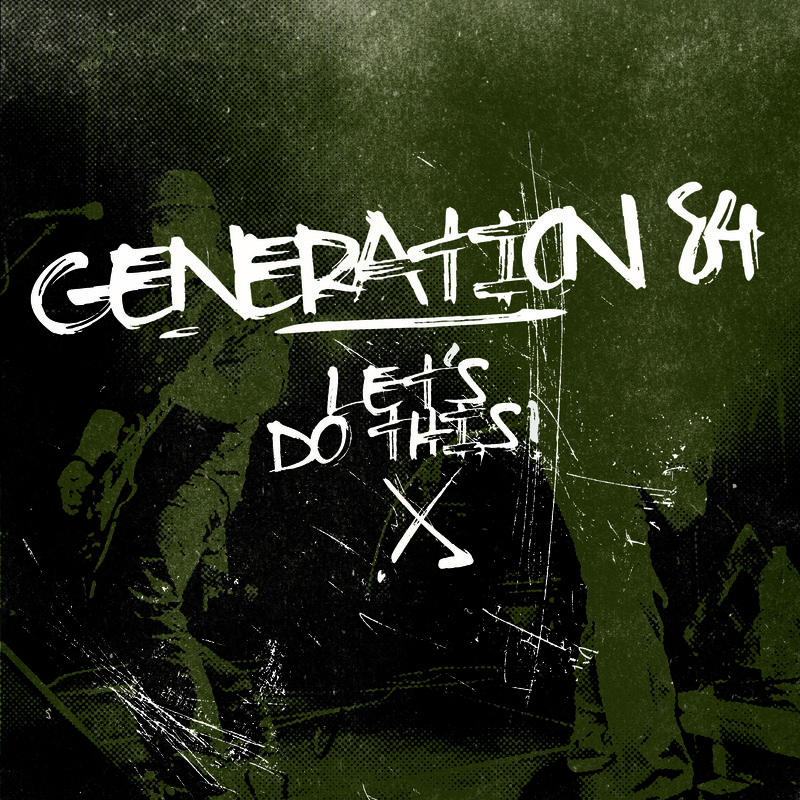 In the summer of 2014, Generation 84 proved that they were stronger than ever, opening for NOFX at the Melkweg in Amsterdam and playing with Ten Foot Pole, Mad Caddies and numerous other bands across their home continent. In April 2015 Generation 84 will release “Let’s Do This”, a 10 inch vinyl record with 5 brand new songs, released by 4 different record labels: I For Us Records (B), Thanks But No Thanks Records (B), No Panic Records (D) and Indelirium Records (I). To celebrate this new release, Generation 84 will hit the road like they never done before and do what they do best: playing kickass shows! Generation 84 – EP, released 31/10/10 on Funtime Records. Regardless of what is right – full cd, released 22/09/2012 on Funtime Records Let’s do this – 10 inch EP, release 11/04/2015 by I For Us, Thanks But No Thanks, No Panic, Indelirium.